Ministry of Information (MOI) has published a New Job Circular 2019. Under this MOI Job Circular April 2019, Total 10 Vacancies are available under 6 Posts. The Job Application is ongoing and the Last date of Job Application is 12 May 2019. Total 30 Days are available for you to submit the Application Form. No Online System is available for the Ministry of Information Job Application. The Eligible Candidates can apply to this Job with Written Job Application. 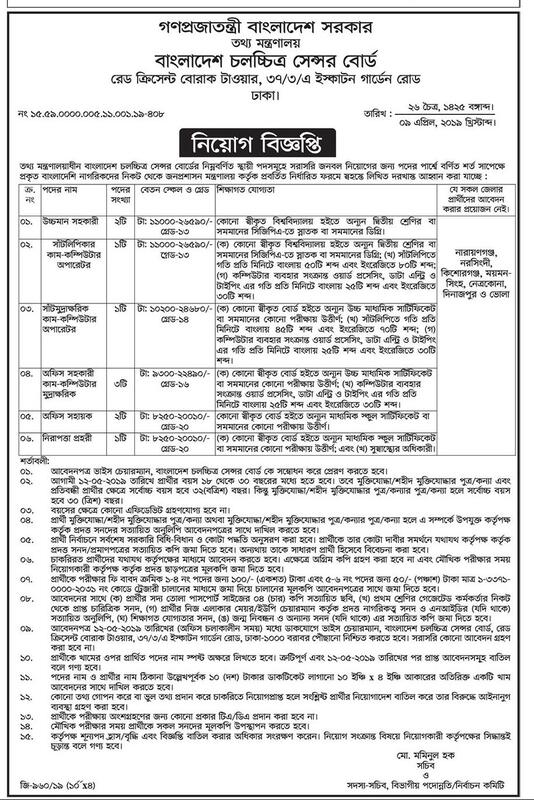 If you want to apply to this Job, Download the Application Form of Bangladesh Government Job. Then, Fill up the Form and send to the Office Address (Which is on PDF Circular). Use the Bangladesh Post Office or Any Courier Service to submit the Job Application Form. 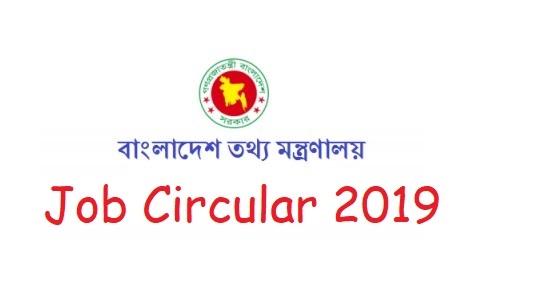 Do you want to download the Ministry of Information Job Application and Job Circular 2019? The Ministry of Information is a branch of the Government of Bangladesh. It is the apex body for formulation and administration of the rules and regulations and laws relating to information, broadcasting, the press and films in Bangladesh. BD Job Circular Provides Government Job in Bangladesh. Ministry of Information Job Circular 2019 published. Online Application of Ministry of Information is unavailable. Application Fee of MOI Job April 2019 can check on the Circular Image. For any more Job or Education Information, Visit our Homepage and get the Result. Previous articleHow to Check POF 20 TK Lottery Result 2019?